Description: [Duplicate of Warrior Class] Recommended enhancement: Fighter. 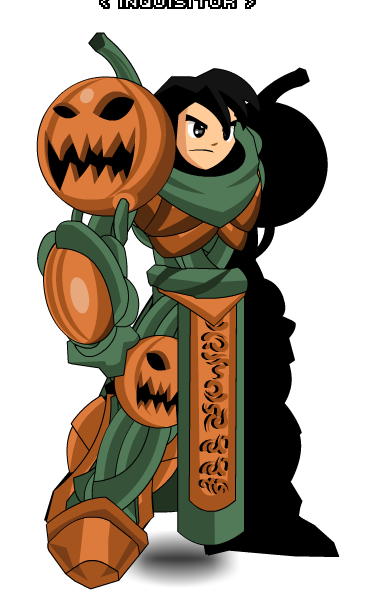 The Great Pumpkin Lord Armor! Happy Mogloween! Description: The Great Pumpkin Lord Armor! Happy Mogloween! Previously called "Pumpkin Lord Class" then "Pumpking Lord" then "Pumpkin Lord Class". Inscription on loincloth translates to "MOGLOWEEN". Thanks to Aguila002, Dragarr, Fritsu Ripuli, Garuda, GriffinFire, In Shadow Waiting, Lalo Uchiha, Lily, L0re, Omega2064, StJason, Strongo9, Terra Dactyl, tflo, The Terror of Death, Tendou no Mazo, Twilight Sky 023 and Xia.